Remembering Canadian Women and War | Bonnie Reilly Schmidt, Ph.D. There is a tendency in Canada today to overlook the work of women who participated in Canada’s armed conflicts. Too often we assume that because they were prohibited from joining the military throughout most of the twentieth century, they did not contribute to the defense of our country. 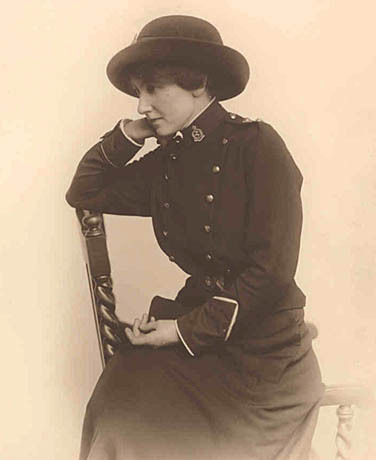 But the contributions of Canadian women can be traced back to 1899 when four nursing “sisters” accompanied the first contingent of soldiers fighting in the Anglo-South Africa War (1899-1902). It was the first time Canadian women served overseas with the military. At the start of the First World War (1914-1918), 105 military nurses sailed to England with the first group of Canadian soldiers. These nurses were known as “Bluebirds” because of the long blue dresses, white aprons, and the sheer white veils they wore. Bluebirds worked on the front lines in thirty military hospitals around Europe. 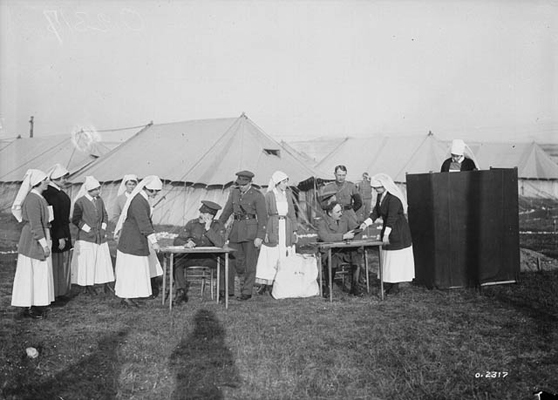 Over forty nurses were killed by enemy action during the conflict, and one lost a limb. By the end of WWI, the number of nurses working in field hospitals had increased to more than 3,000 women. In 1917, in recognition of their contributions, Bluebirds became the first women to vote in a federal election, along with the women at home whose husbands, sons, and brothers were away at war. It was not until 1918 that the federal government finally acknowledged the service of all Canadian women to their country by granting them the right to vote in federal elections. During the Second World War (1939-1945) a total of 4,480 military nurses served overseas. For the first time in Canadian history, however, all three branches of the military created women’s divisions. As combat casualties mounted, the work of women was needed as more and more men were required to fill combat roles. 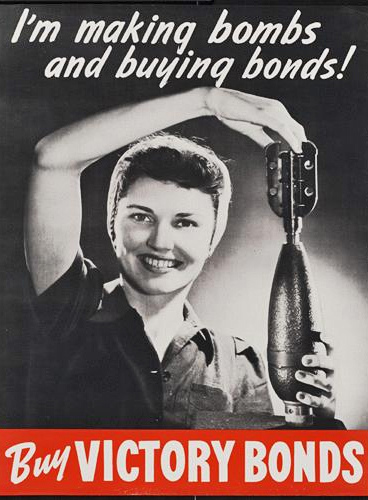 By the end of the war, approximately 50,000 women had joined one of the women’s divisions. Women on the home front stepped into what were then considered to be men’s jobs. Their work provided armaments and aircraft for combat and kept Canadians and her allies fed. In short, they kept the country going. 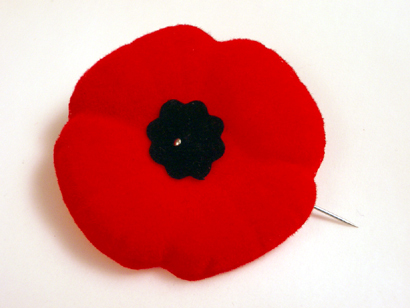 This Remembrance Day, let’s remember the sacrifice and commitment to the country made by Canadian women. They also deserve our recognition and thanks.